Established in 2010, Pete’s Plumbing has been providing a professional plumbing and heating service in Hastings and the surrounding area. 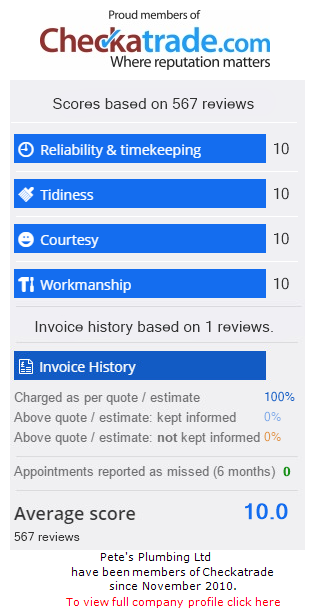 With a proven track record on checkatrade.com, and over 15 years experience, you can be sure you will receive a highly professional and reliable service. We are Gas Safe Registered, Accredited Worcester Installers, Certiﬁed nest Professional and ESCC Trading Standards Approved. 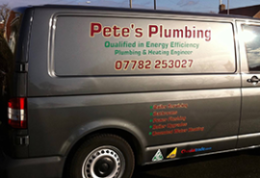 Pete’s Plumbing offer a full range of plumbing services including; Boiler Services, Boiler Upgrades, Bathrooms, System Flushing and Unvented Water Heating. Whether you want a tap washer replaced or installation of a full heating system, Pete’s Plumbing are sure they can meet your requirements however big or small. If you would like to make an enquiry or arrange a quote, you can contact Pete’s Plumbing on either telephone number shown or by email. We aim to respond to all enquiries within a 48 hour period. We accept payments made by debit card, online bank transfer or cheque.